Kinzler installed open cell spray foam in the garage area bonus room portion of the 8,000+ square foot home in -30 degree weather. The customer originally wanted to used closed cell spray foam, but couldn’t because of the temperatures. Kinzler worked with a general contractor to design an efficient insulation system that could be installed in sub-zero temperatures without compromising the quality. 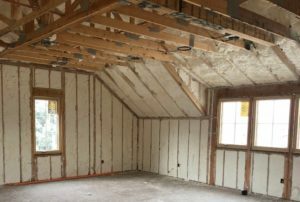 It was decided that the best solution would be to do the bonus room in open cell spray foam, initially, and to come back the next fall to replace with the closed cell spray foam that they requested but couldn’t install because of the temperatures. Additionally, we put open and closed cell spray foam insulation in the attic with R60 blown-in fiberglass over the foam. Due to a vaulted roof system and mechanical ducts located in the attic space, Kinzler installed a polystyrene vent system and twelve inches of open-cell spray foam. 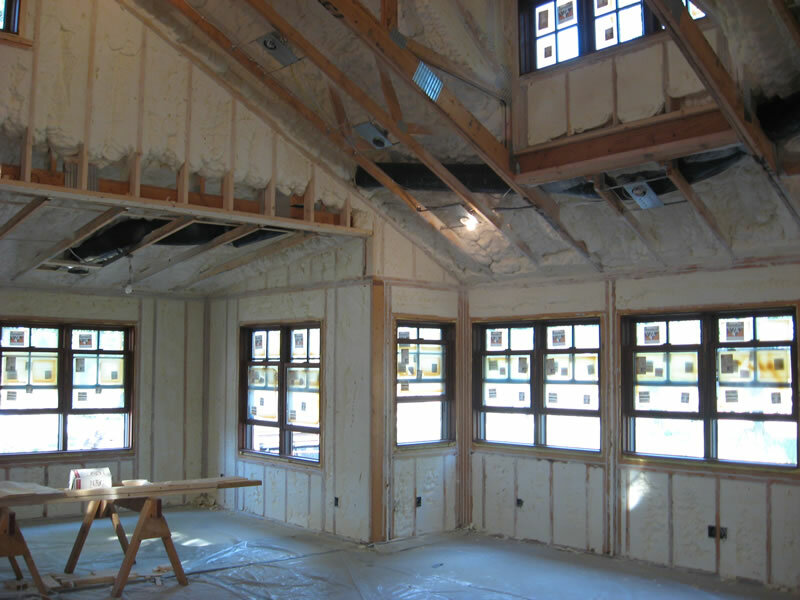 To improve the overall performance, we also installed five and a half inches of open cell spray foam in the exterior walls. The result was an extremely well-insulated and quiet retirement home for the customer.